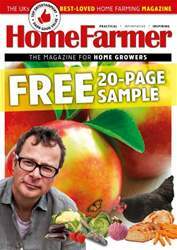 Welcome to the August issue of Home Farmer. 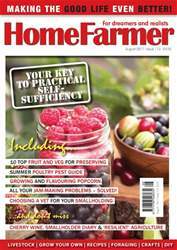 This month’s magazine brings together a practical mix of gardening, livestock and food, with features on growing your own curry ingredients, cultivating (and using!) a top notch spinach crop, and producing and (flavouring!) your own DIY popcorn, while for the more outdoor types we have a feature on harvesting and using wild bilberries – perhaps Nature’s greatest gift to pie lovers. 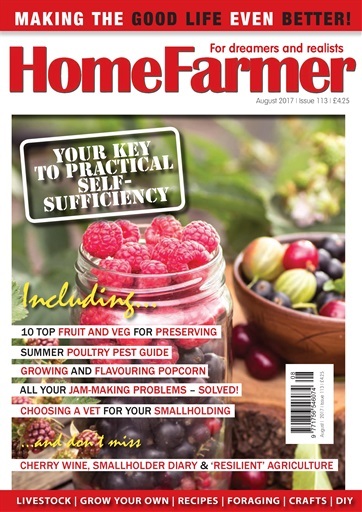 On the livestock front we check out the smallholder/vet relationship, summer poultry pests and how to deal with them, and harvesting your honey crop. There are all our usual features too – Dot’s smallholder diary, country wines, retro tips and techniques, and a fascinating interview with farmer, soil scientist, writer and activist, Laura Lengnick, about how ‘resilient agriculture’ can help feed us in the rapidly changing world of the 21st century. We have also included a number of preserving articles this month to help make the most of all those wonderful summer tastes that are all-too-often lost with the first days of autumn. Preserving is a great way of enjoying your produce all year round, and we check out the best varieties to use for all the many different techniques and methods available, what can go wrong with your jams and how to get them back on track, and keeping two of summer’s most distinctive tastes on the menu out of season – fruit and herbs – using vinegar as a safe and reliable preserving medium.